This is part four in the ‘new sources’ series. In part three of the new sources series, I want to draw attention back to a trio of stories that focused on the parts required to get through the first milestone in engine building, a “Closed Case”. Getting to this point is a natural goal of attending a single College and working at a relaxed pace. Having a closed case done already when you show up at a College is an easy path to having a running engine at that college. While plenty of builders have done the whole thing in one College from bare case to running engine, the two step processes is much more common. Remember that half of all engines are finished at builders workshops, not at Colleges. Many builders opt to gather the parts for a Closed case, attend a College, get through that work, and still have time to closely study other engines being finished through the test run. Armed with their closed case, these observations and learning, they head home to finish their motor. There are many paths to success, you need only choose one that suits you. Above, Rear quarter view of “Closed Case” that has just had the pistons, rods and cylinders (groups 1300 and 1400) added. 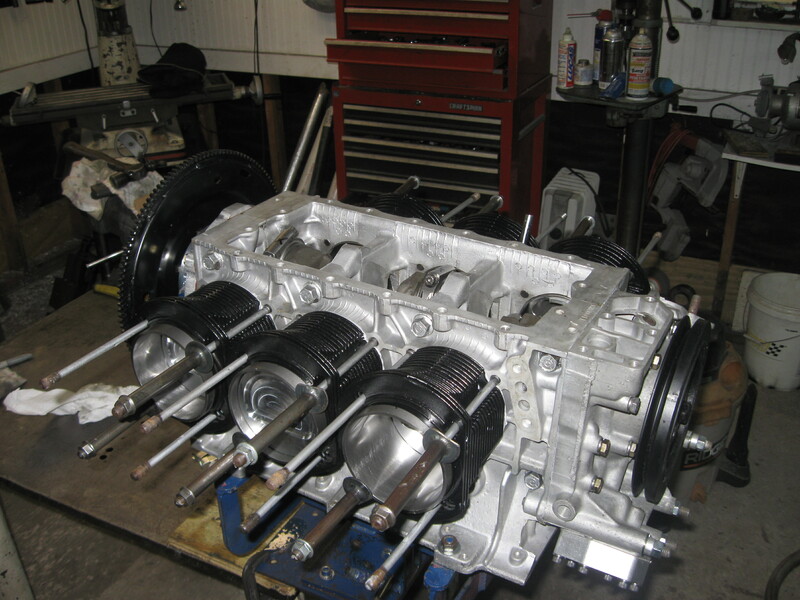 It is a 3,000 cc engine with a GM 8409 crank prepped by the Weseman’s with one of their Gen II 5th bearings. Visible in the photo is our #2000-HV rear oil cases.